It’s really easy for a new mum to forget to take care of themselves. I’m always rushing around after everyone else I really haven’t taken part in much self-care lately. 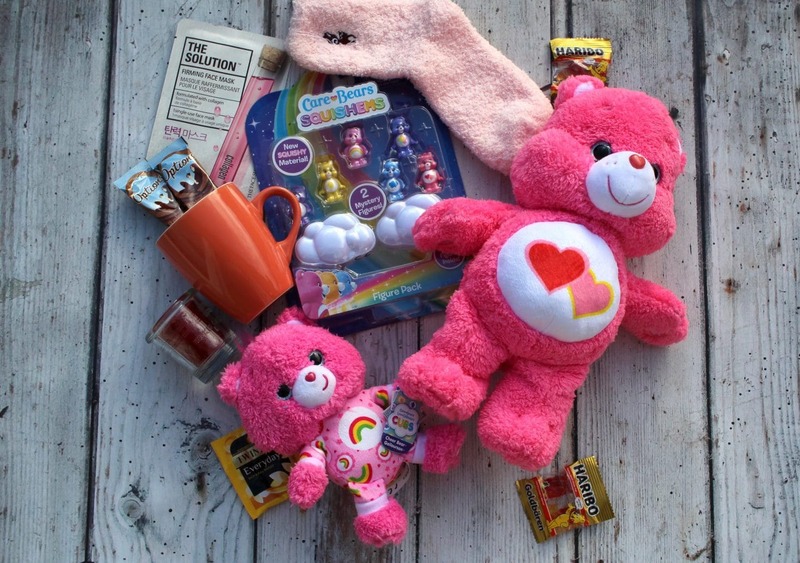 As you can imagine when Flair sent me a care package promoting their Care Bears range I was excited to take some time out just for me and indulge in some fond memories of my childhood!! I used to be Care Bears obsessed as a child, and I used to be the proud owner of a giant Care Bear that my uncle won at the village fete! At one point everything I owned was in some way Care Bears related, and I practically wore out the Care Bears VHS tape I owned. There was just something heartwarming about those cuddly bears that had me hooked! 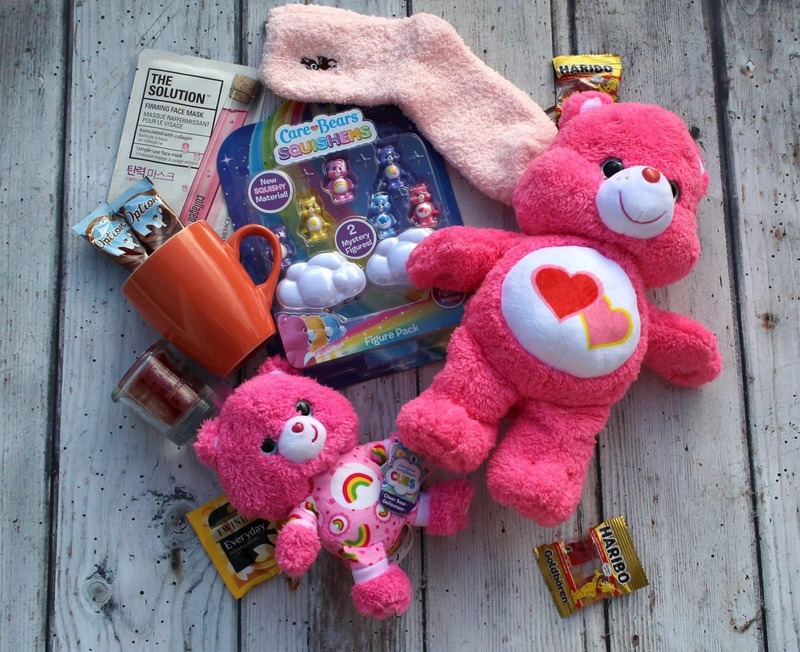 So when I opened up my Care Bears package, it brought back all of those beautiful and nostalgic memories! Nothing excites me more than seeing something classic from my childhood readily available today. I often have these conversations with Henry about what my childhood was like, and it’s so good to be able to show him something tangible from my past. I was really excited to open my package, but I wasn’t sure what to expect. Of course, I wasn’t disappointed! I love pink, so I was over the moon to see none other than a medium sized Love-A-Lot bear plush staring up at me when I opened the box. I love the bold colour and cuddly fabric which makes it the perfect pick me up! The medium-sized plushes are 13″ with an RRP of £ 15.99 and are available from *Amazon, ASDA, Tesco and Debenhams. 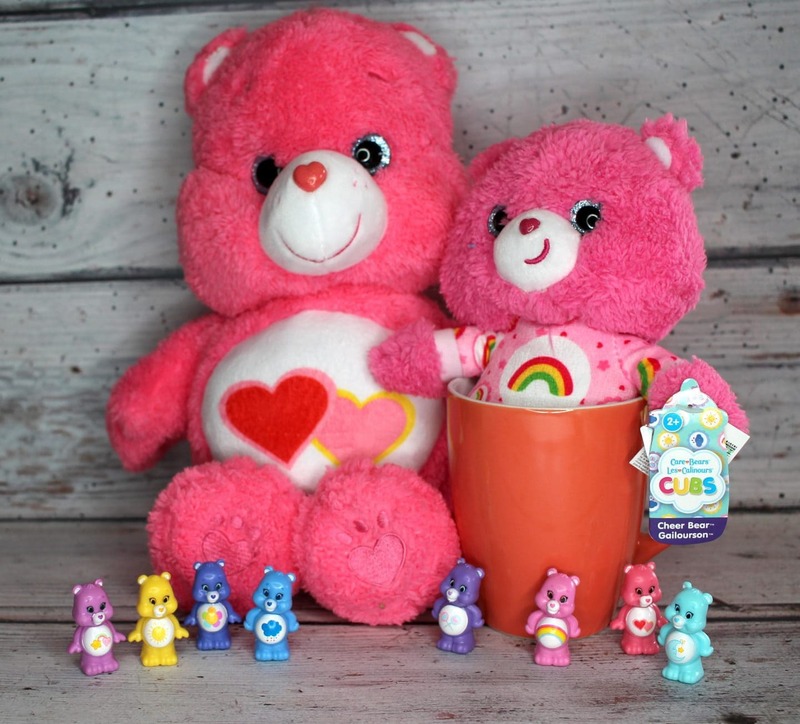 There are different Care Bears available making them ideal for collecting because of course, you can’t just have one! I also received a smaller Cheer Bear Care Bears Cub Plush. These bears are a smaller size making them perfect for collecting or using as desk buddies! They have an RRP of £7.99 each and come dressed in the cutest pyjama outfit! They are available from *Amazon and ASDA. Finally, I received the Care Bear Squishems Figure Pack which is filled with the cutest squeezable Care Bear figures! The pack also included two mystery figures which makes them a fun an exciting collectable toy that would be ideal for imaginative play. Each package has an RRP of £14.99 and is available from *Amazon. Do you like Care Bears? Who is your favourite? I received this item on a gifting basis in return for an honest review. As always all words, opinions, and views are my own. Links marked with * are affiliate links this does not cost you anything. For more information on any of this please head over to this page.